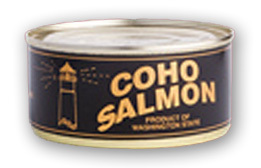 Coho salmon is regarded as excellent table fare. It has a moderate to high amount of omega 3 oils. Super for chowder.